Success through intercultural competence: The Goethe-Institut is enhancing its portfolio of programmes by offering intercultural training for managers. 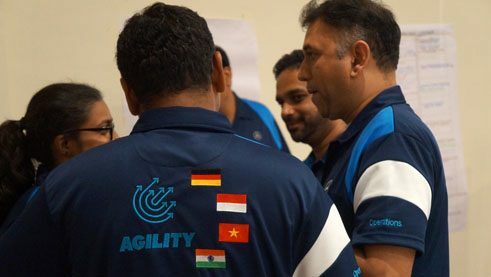 In late February, a groundbreaking course for thirty managers from Mercedes-Benz was held near Mumbai. 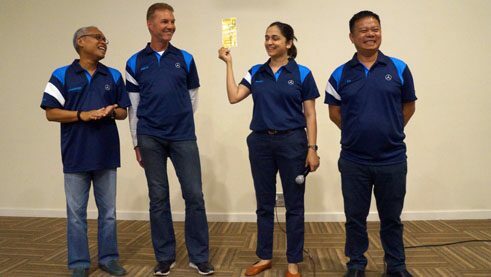 Arrival in Nashik, Friday, 23 February 2018, at 12:30 for the intercultural training for thirty Mercedes-Benz employees from India, Indonesia and Vietnam, and two Germans who run the sites in Indonesia and Vietnam. The participants gather in the conference room, which the trainer has carefully prepared. The hotel in which the four-hour intercultural training course will be held is one of the most popular in the region. After the lunch break, the course for the Daimler managers begins. They are all familiar with intercultural communications from their daily work. For the next four hours, they will be given ideas and skills for their professional activities. Then, the customised training, led by Vaishali Karmarkar of the Goethe-Institut Mumbai, begins: an intercultural journey that begins with the names of the participants, quickly incorporates their own stories of cultural astonishment and alienation, lets them do exercises, then summarise the learning outcomes and presents case studies for discussion. In between, slides are shown that offer insights into the deep structure of cultures, making their origins and narratives tangible. For Piyush Arora, the regional director for South Asia, the most important thing was getting insights into the culturally based preferences for various management styles.